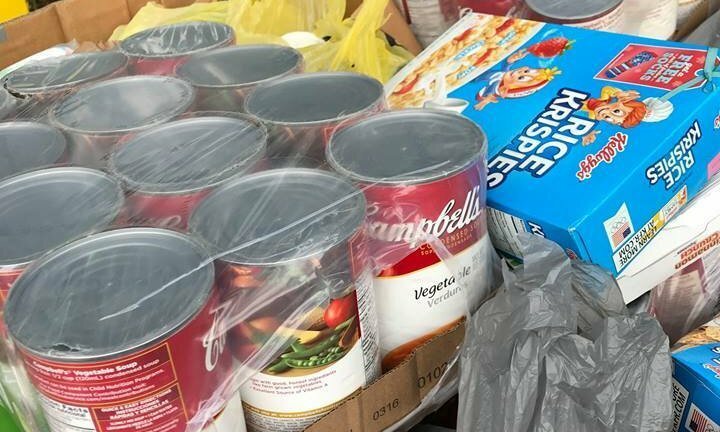 AUSTIN (womenandguns.com) — A Girl & A Gun Women’s Shooting League (AG & AG) is proud to announce that the Space Coast, FL, Chapter supported The Sharing Center of Central Brevard’s Holiday Food Drive. This annual food drive is a joint effort for (and friendly competition between) the cities of Rockledge and Cocoa. The AG & AG chapter collected non-perishable foods, toiletry items, paper towels, toilet paper, and baby supplies at Girl’s Night Out events. Member Adriana Albuerne-Pargas delivered the donations to The First City Café in Rockledge, FL, one of the designated drop-off sites for the initiative. The Central Brevard Sharing Center provides emergency assistance to those in our community who are struggling to obtain life’s most basic needs. It operates a Community Kitchen and Cold Night Shelter, and offers clothes, household items, food, and sneakers to Central Brevard residents. It operates out of several locations.